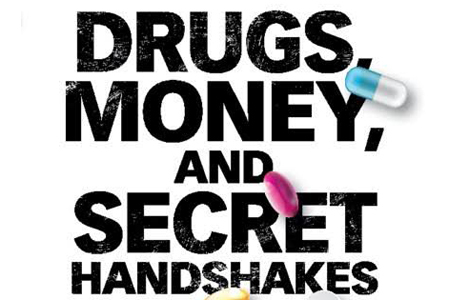 Include CDMOs In "Drugs, Money And Secret Handshakes"
“Drugs, Money, and Secret Handshakes” is one hundred power-packed pages of rich data and sober analysis. 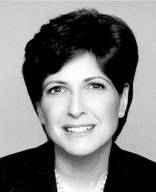 Outsourced Pharma was provided a pre-publication copy by author Robin Feldman, the Arthur J. Goldberg Distinguished Professor of Law at the University of California Hastings. The book goes on sale April 11th. Our drug-pricing system is broken; worse, it’s rigged, and un-American. To fix it, start by gutting the middle – the pharmacy benefits managers (PBMs). The component of the system not incentivized to raise prices is drug development and manufacturing outsourcing. But once again, our industry isn’t referenced. Feldman and I spoke by phone about these four points and her new book. Here’s an example of the nomenclature of drug pricing in the U.S.: spillover pricing; clawbacks; ever-greening; salami slicing, values- and outcomes-based pricing; persuasion payments; most-favored-nation (MFN) clauses; pay-for-delay; monopoly rents. Hint: All describe some way to raise drug prices on patients, and enrich the system’s players. These pricing ploys push prescription drug prices to “an alarming and puzzling level,” says Feldman. The system of course has other components, but the main three are: drug companies, pharmacy benefit managers (PBMs), and insurance companies. She adds in the book: “One need not ascribe any sinister motive to the drug companies.” She believes they’ve simply found a way of operating with the system [they did not create] to their own, greatest advantage. I ask Feldman to elaborate. Nobody seems to know, although she offers some ideas for component solutions at the end of her investigation. I then ask Feldman if she agrees with me that attempts at solutions like “Obamacare” or “single-payer” are misguided, and have or will make the system worse. While apparently in every other market, industry, or individual company today, intermediaries are being excised or streamlined (including internal middle management), our drug distribution system is ballooning at the middle, and most of the air is going into PBMs. “PBMs historically developed because the flow of claims was something the health insurance companies and self-insured employers couldn't manage on their own anymore,” explains Feldman. “But when systems digitized, PBMs had to find a way to differentiate their product, provide value, and bring in income. That’s when they developed the middle-row position that’s blossomed in a way which is great for PBMs, good for drug companies, but not so good for others in the system. Which brings us back to us – the drug development and manufacturing outsourcing industry has made progress. I ask this in all seriousness: Are we the only component today in the meandering chain of events that is dedicated to reducing the price of drugs? CDMOs of all sizes and models, and at global locations, exist so biopharma companies can develop and manufacture drugs at reduced pricing. The CDMO industry is competitive. There are no extra-ordinary pricing models. We operate on fee-for-service, FTEs, quantities of material delivered, the direct cost of raw materials, plant time. Our supply chains and delivery routes don’t delegate to intermediaries tacking on additional pricing that then feeds reciprocal (and agreed upon) price increases throughout the chain. CDMOs have added technology, expanded services, integrated, streamlined, undertaken lean and quality initiatives, all to be as profitable as possible by reducing costs for themselves and their biopharma customers. I know how the contract research, development and manufacturing industry originated. It did so out of a direct economic driver: To lower development and production prices. I don’t know how the overall, convoluted prescription-drug system in the U.S. came to be. It seems nobody does. All any potential patient or consumer knows is “the problem is the system.” We’re left questioning how a market so nonlinear to any other industry in the U.S. exists. “I would frame things a little differently,” says Feldman. “Some of these developments formed organically; some of them are strategic behaviors. All of it is unrecognizable in comparison to any other industry in the country that we can think of. I would, though, spend less time trying to understand how we got here, and more time trying to visualize how to get to where we need to be. Because currently, we’re at a point where we’ve been duped into believing that the free markets born of capitalism, entrepreneur spirit, and government non-interference, cannot decrease the cost of our drugs. One way to fight that false narrative is to talk more about the subsection that bucks the trend of perverse incentives, and thrives on direct competition, and competitive pricing. That would be you, Outsourced Pharma readers. Let’s get the message out that free enterprise works, and it works best without self-serving intermediaries. 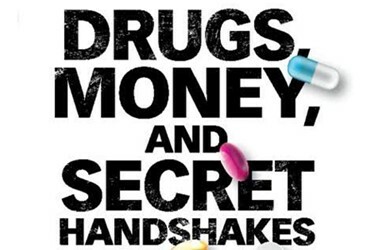 In part two of my discussion with Robin Feldman, author of “Drugs, Money, and Secret Handshakes,” we’ll take a look at some drug pricing solutions that are not what they appear.